Hi folks. Long time between blog posts for me. Been baking as much as ever but got lazy with taking pics and doing write-ups. I've fallen into a comfortable 3-bake-per-week rhythm cycling through our favourites, which these days are mostly variations on my pain de campagne. I like this rhythm after 3 years of working through scores of different breads. I've found it's a different type of learning, focusing on just a few breads - an incremental progression towards quality and consistency. Nice after all the experimenting, but perhaps not so conducive to regular posting, for me at least. 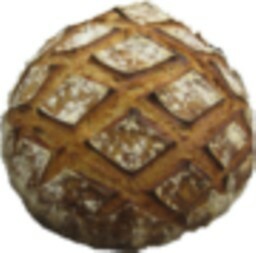 some fine bread to put that great jam on! Can't recall seeing as fine an example of Pain de Campagne in some time Ross, it's a beauty! Do you include any rye in the mix? If so I'm guessing it's a light rye at a small percentage going by the colour of that lovely crumb. 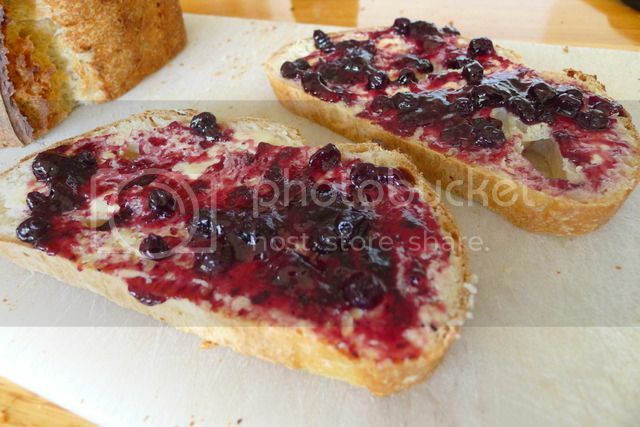 To be able to top it with home made jam from berries in your own backyard is a treat and one of the nicest accompaniments you could have for such a splendid bread. Nice baking Ross, and all the best for the New Year. That's a fine compliment, coming from you. Much appreciated. And yep - your guess is spot on regarding the rye (see formula now posted above, in response to John). Hope your New Year is healthy and fulfilling, Franko. Look forward to more great bakes from you. I just taste your beautiful bread and yummm mulberry jam. What a beautiful bake. You know how much respect I have for your baking - your compliments mean a lot. Yes, my partner took quite a while picking out those little stems. One of the things I really like about mulberry jam is that it's not very commercially viable due to the labour-intensive requirements and the short fruiting period. So, one of those delights that just has to be home-made! Also, I love that the berries are not too sweet and resist breaking down during the cooking. Mulberry has taken over from strawberry as my favourite jam (sure that's of huge significance to y'all!). As for those cobblers...oh me, oh my! Have a fabbo New Year! Both were delicious, indeed. If you can fossick some mulberries from a nearby tree next time they're in fruit, do have a go at some jam. Just superb! I'm sounding like a cobbler commercial, but that's another rare treat when mulberries are in season. Do you have them in the States, I wonder - my partner lived in Canada for some years, and I think that's where she first came across cobblers. I'm very glad she did! Cheers and the best of New Years to you, too! Beautiful bread and fixin's, Ross! 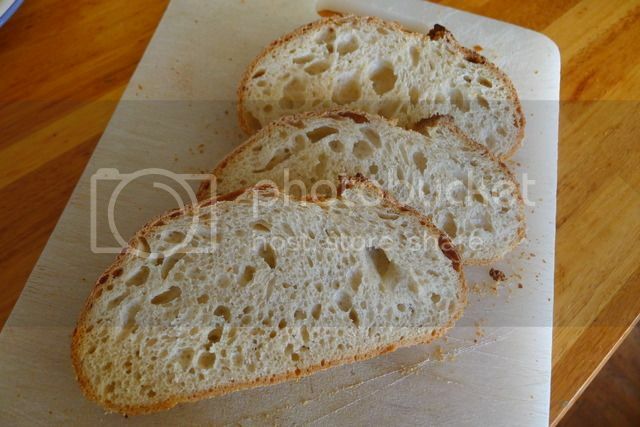 Your loaf and the crumb look absolutely perfect. It's nice to see mulberries put to good use. We had a tree when I was a child. I believe most of the fruit ended up decorating our car, after being processed through the digestive tracts of birds. I prefer your partner's process. I am chuffed to receive such a response from you - about as meaningful for me as it gets! If I recall correctly, a one-off yeasted Italian bread you posted years ago was the starting point for "my" pain de campagne. 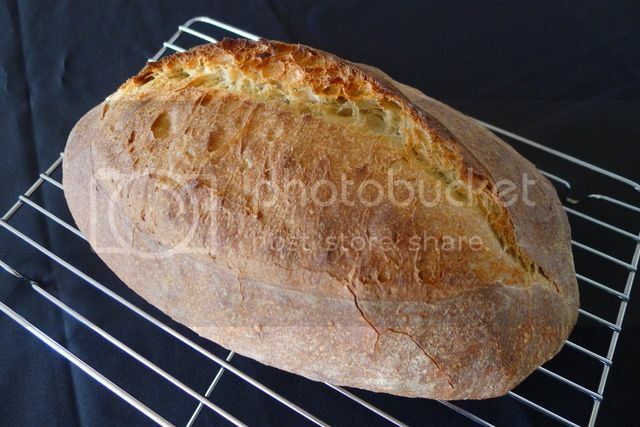 It's undergone lots of little changes since, but interesting that this earliest attempt to customise a bread to my liking should end up being my go-to bread, and the formula base for endless variations! One of these variations is the best flavoured bread I've managed, and I'll post on that separately soon. It also incorporates a tip I learnt from you that you brought back from one of your SFBI courses - adding a little toasted wheatgerm. Your influence is everywhere in my SD bread baking, and I'm glad of this opportunity to acknowledge that and thank you! Hmmm - I have to report that birds downunder process mulberries to similar decorative effect as their Californian counterparts! While my partner gathered enough fruit for multiple jars of jam and three glorious cobblers, our winged friends gorged on the rest of the purple treats, splattering the processed product on surfaces that still bear their mark. Happily, my car is far enough away from the tree to be outside the birds' prime mulberry target area, although still subject to random daily target practice using all variety of ammunition. Unhappily, the birds in this area are highly competent bombers who keep their skills finely tuned through a zealous daily practice regime, seemingly particularly accurate when aiming for a newly cleaned surface. Beautiful looking bread and equally delicious looking mullbery jam, Ross. Such a stunning contrast. Great to hear from you, and all the best for the New Year. Wow, Ross, your bread and that jam look like a match made in heaven. Not quite made in heaven, but pretty durned good as far as earthly treats go! Thanks very much for your comment! Great looking loaves Ross. Your jam looks amazing. Appreciate the welcome back, Ian. And thanks for your compliment! I'll pass on the thread to the jam specialist so she can share in the praise! Truly worth sharing, Ross! What a fine accompaniment to your beautiful pain de campagne! Great to hear from you, Khalid! And thanks for your compliments - reading your post was a nice start to my day! Hope your back's feeling a whole lot better and you are well advanced in your rehab. And of course, HAPPY - and healthy - NY to you, too!